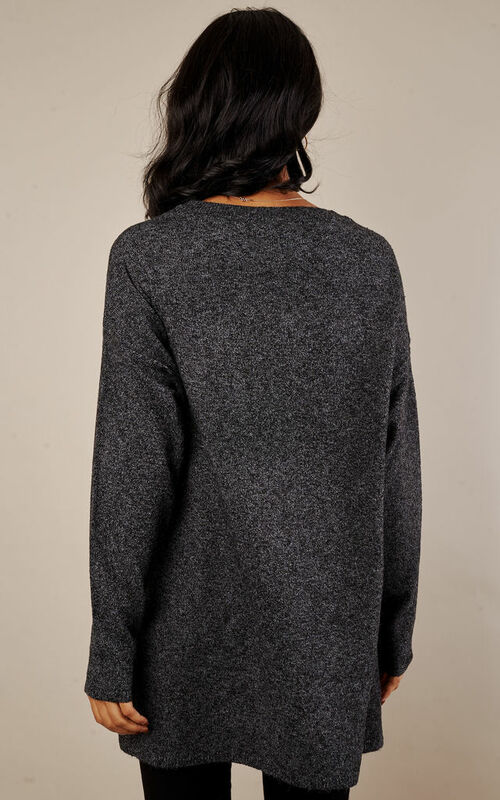 This long sleeved jumper comes in a cosy loose fit and features elegant side splits. Perfect with jeans for a laid back stylish look. Also available in light grey and navy.